Paint correction can involve either the hand or machine application of varying grades of cleanser, polish or compound. The majority of work is usually done with rotary machine polishers to get the best level of correction. Good paint correction requires a high degree of skill and concentration, but done properly, it really can transform the look of a car by dealing with (amongst other things); hard water marks, etching caused by bird poop, swirl marks, scratches and fading. Paint correction is important if you want the best result when applying the Liquid Armour 9H Ceramic Coating. For the vast majority of cars, paint correction really can make a substantial difference and will completely remove or significantly reduce most marks. Not only this, but the resulting finish will have an amazing gloss, depth of reflection and slickness. 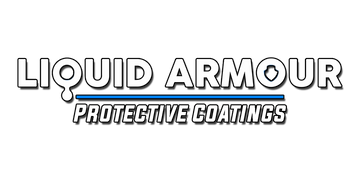 When Protected with Liquid Armour 9H Ceramic coating, it will maintain that new appearance for years to come.